"Got a call as soon as i added an item to the basket. The person was..."
We are official reseller for FileBand. * You will get 160 days membership of fileband premium account. * You will get 100 days membership of fileband premium account. * You will get 20 days membership of fileband premium account. 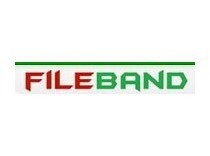 * You will get 7 days membership of fileband premium account.